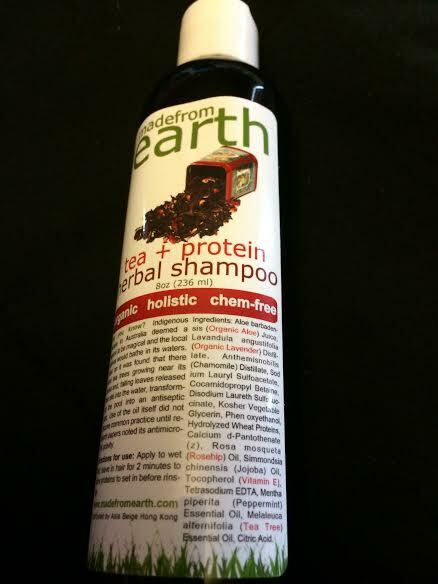 I just tried out this great shampoo from Made from Earth. Made from Earth is a great company that provides health and beauty products that are organic. Made from Earth is committed to using only the best ingredients and fruits. I know for me I have sensitive skin so I am very cautious about what kinds of products I use. With Made from Earth I don’t worry because I know the products contain only high quality products that are organic and natural. The Tea Tree + Protein Herbal Shampoo is great. I have a hard time finding good quality organic shampoos that work for my thick hair. The Tea Tree + Protein Herbal Shampoo is made for any hair type. I love that this shampoo makes my hair feel great after use. I really softens my hair and infuses the hair with great organic nutrients while it cleans your hair. It also smells really good. I use this on all my kids hair as well. As a mom we all know that having girls can sometimes bring with some extra problems. Tea Tree is actually a repellent of head lice. Having all girls I am always worried that they may use someone’s hair brush or headband and get some unwanted friends. So I use Tea Tree shampoos in their hair and we have had no problems with that thank goodness! Since it is organic I don’t have to worry at all about using it on the kids and it actually smells really good. For all hair types. This herbal shampoo is formulated with organic plant-based ingredients to emulsify scalp and hair without dryness. Organic tea, grasses, whole wheat proteins, and other plant extracts strengthen and smooth the hair. Tea tree is specifically formulated to rejuvenate hair and clarify the scalp by removing impurities. Our healthy shampoo also includes Pro-Vitamin B5 which has been scientifically-formulated to revitalize hair. Application Instructions: Apply to wet hair; leave in hair for 2 minutes to allow proteins to set in before rinsing. Ingredients: Organic Aloe Juice, Organic Lavender Distillate, Chamomile Distillate, Sodium Lauryl Sulfoacetate, Cocamidopropyl Betaine, Disodium Laureth Sulfosuccinate, Organic Vegetable Glycerin, Phenoxyethanol, Hydrolyzed Wheat Proteins, Pro-Vitamin B5, Rosehip Oil, Jojoba Oil, Vitamin E, Tetrasodium EDTA, Peppermint Essential Oil, Tea Tree Essential Oil, Citric Acid. You can purchase it from Made From Earth’s Website! Also check out all their other great Health & Beauty Products! You can Check out Made From Earth on Facebook, Twitter, and YouTube as well!